Tropical Imports is relocating this summer, next to a new indoor dining area beside the Bengal BBQ. In its place will be the new location of stroller parking--a move to ease congestion in the walkways of Adventureland. It will be odd to see the spot next to the Jungle Cruise no longer sell fruits and snakes and various wares, but change is ever present at Disney theme parks. I look forward to seeing how the new Tropical Imports will look like when it debuts this month or next! 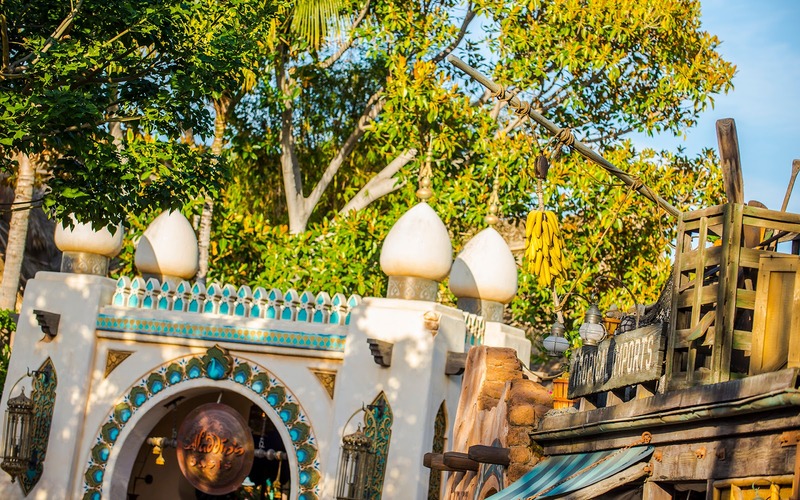 Wares atop Tropical Imports can be seen in this photo from a few years ago, with Aladdin's Oasis in the background.